Clayton sweethearts renovate their dream home in their hometown. 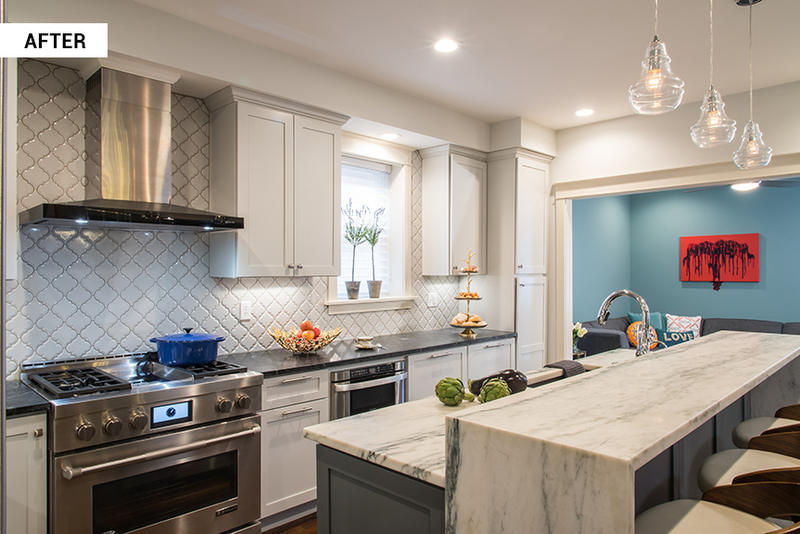 It took four years of searching — yes, four whole years — but after watching and waiting for the right property to come on the market, Dana Jones, owner of Flavor Dance Studio and professional home renovator, finally found her dream kitchen hiding away in a historic Clayton duplex. And all she had to do to make it perfect was figure out how to navigate the red tape that comes with remodeling a historic home and complete a total conversion of said duplex into one, big cozy home. With the help of interior designer Joni Spear of Joni Spear Interior Design, it was a piece of cake. 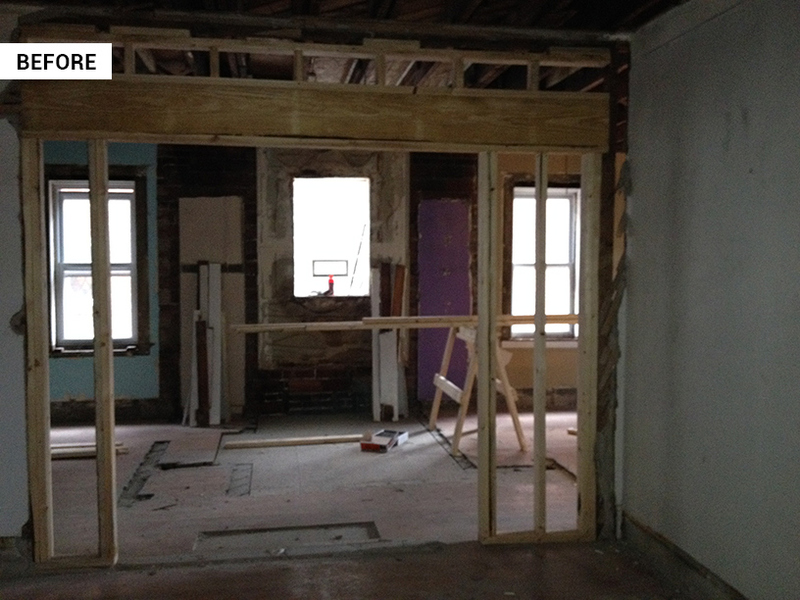 The major hurdle to jump in this remodel was certainly the city code on historic homes. Jones had to play quite a bit of back-and-forth with the city and the architect to come to a conclusion on what she could and couldn't do with her new, old home. 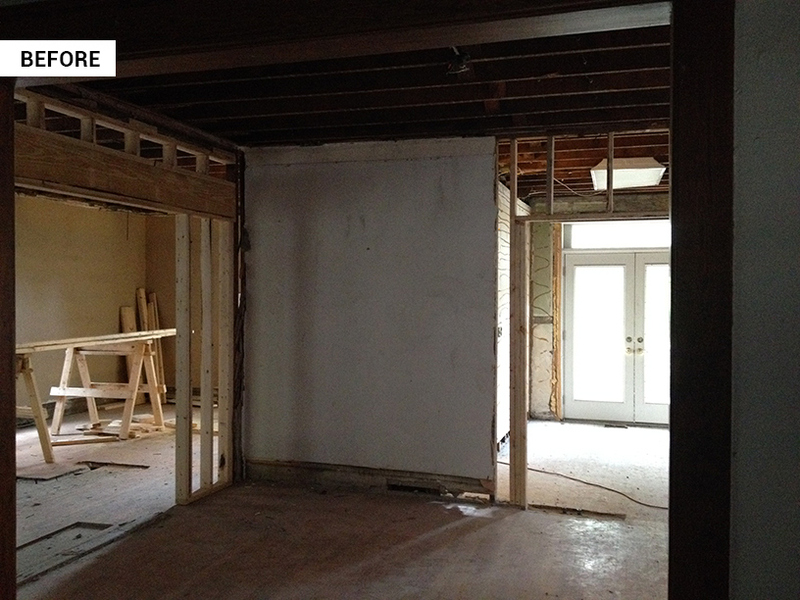 This ultimately meant that instead of taking out the wall between the kitchen and dining room, she would instead have to widen the opening in the existing wall. In the end, this was only a minor setback and one that Jones and Spear were happy to comply with. Another challenge in the remodeling process was a pesky second window that made the already smaller space feel awkward and didn't leave enough room for all of the much-needed cabinets. Fortunately, this problem had a rather simple solution: just brick it in and get rid of it. The end result of their combined efforts is a galley kitchen that is simple and modern. 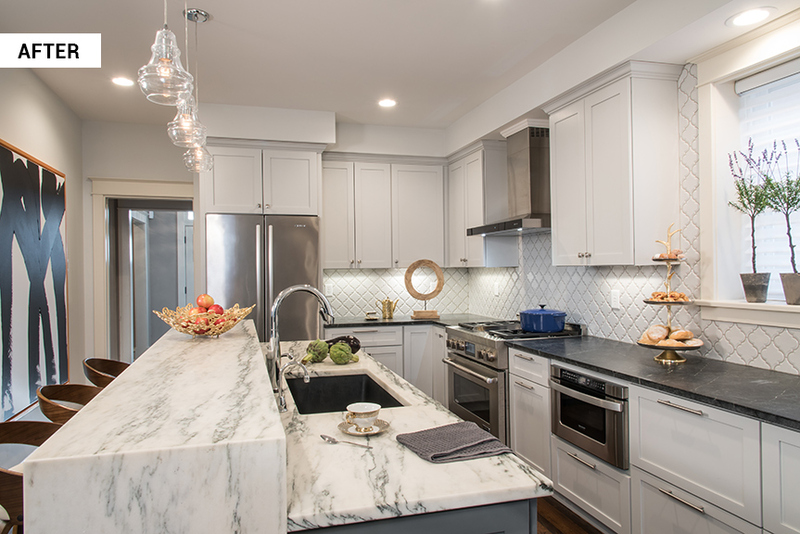 It is furnished with light-gray cabinets, dark wooden floors, a two-tiered, white marble island and contrasting black soapstone countertops.